Nearly 50 years ago, two pieces of landmark environmental legislation were enacted to ensure that U.S. waters were “swimmable, fishable and drinkable.” As we approach their half-century anniversary, it’s time to take stock. Where did the Clean Water Act and the Safe Drinking Water Act succeed? Where did they fall short? And, most important, how are they being interpreted, adjusted and rewritten to reflect the political and environmental realities of today? Last year the EPA began the process of redefining which “Waters of the United States” (WOTUS) warrant federal protection – a move critics say would remove more than half of U.S. wetlands and nearly one-fifth of U.S. streams that were protected under a 2015 Obama-era ruling. That 2015 ruling was meant to clarify earlier court rulings regarding wetlands, going back to the Clean Water Act of 1972, which sought to make U.S. waters “swimmable and fishable.” (“Drinkable” was left to the Safe Drinking Water Act of 1974). It’s safe to say neither law anticipated the deluge of threats that face the Waters of the U.S. today: Aging, inadequate infrastructure. Newly identified toxins in surface and groundwater. Exotic, biological invaders. Shifting political winds. Despite multiple decades’ worth of attempts to clarify federal rules regarding water pollution, adjustments to emerging threats and efforts to measure the success of these iconic laws, the results of the Clean Water Act and the Safe Drinking Water Act are, well, clear as mud. 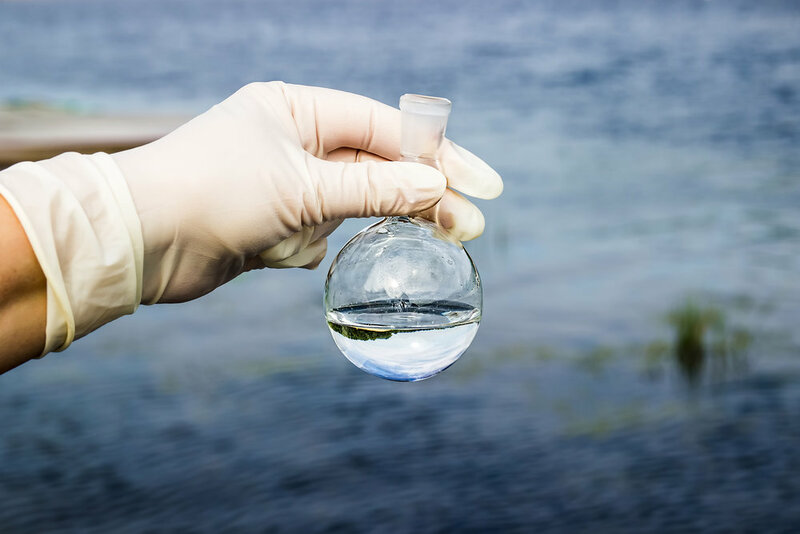 The Water Quality Institute marks the launch of IJNR’s Page One Project, a multi-Institute investigation into the past, present and future of the crucial environment issues of our time. This expenses-paid trip will run from June 23 - 29, 2019 and take participating journalists on a trip from Cleveland to Chicago and points between as we use water-quality stories in the Great Lakes Basin to highlight similar water-quality issues across the United States. The impact and status of U.S. water laws. Agricultural impacts on water quality, including nutrient loading and harmful algal blooms. Increased understanding of the health risks and pervasiveness of PFAS. How has the Great Lakes Restoration Initiative worked? The health threats of lead pipes in cities across the U.S. Managing stormwater and flooding in a changing climate. The growing problem of microplastics. The ecological and economic impacts of invasive species. How climate change is projected to impact U.S. waterways. Applications will be accepted through Submittable. For more information about our application process, please read our guidelines. This program is supported by the Joyce Foundation and other foundations and individuals.